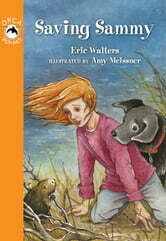 After Morgan's backyard is flooded by the nearby river, her dog, Shire, finds a baby beaver that has been washed out of its den. Realizing that its parents aren't coming back, Morgan must quickly learn to care for the beaver, which she names Sammy. Morgan's parents warn her that he can't stay with them forever. Will Morgan be able to find a safe home for Sammy?